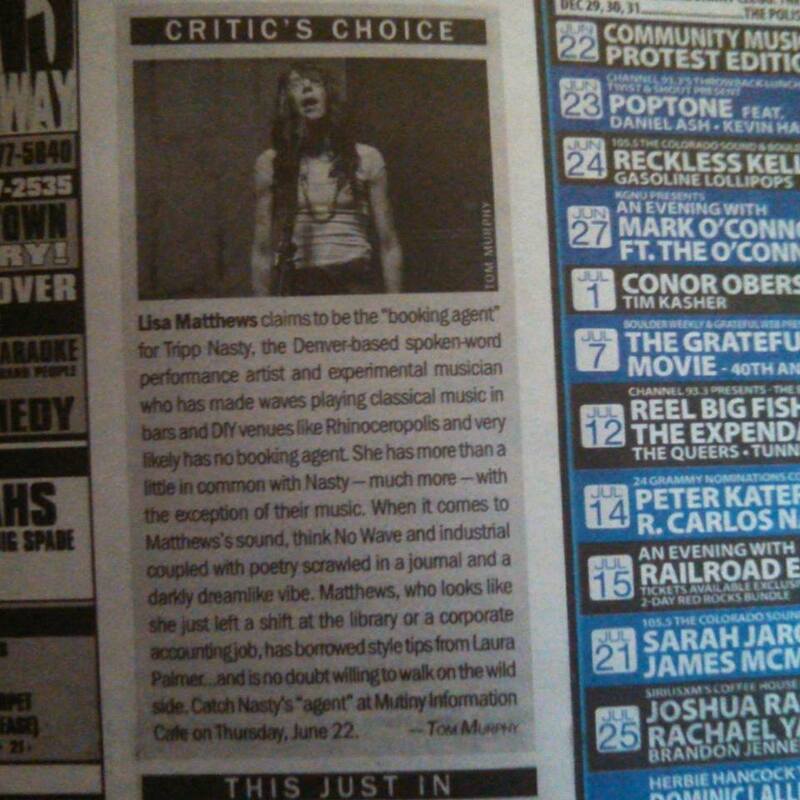 My pal and booking agent, Lisa Matthews got a great write-up in the WestWord this week for her show at the Mutiny Information Cafe in Denver on June 27! 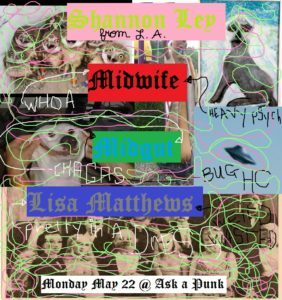 My booking agent, Lisa Matthews will be playing two special shows this summer one at a ‘ask a punk’ location on May 22 with Shannon Ley from L.A., Midgut (denver) and Midwife (denver). 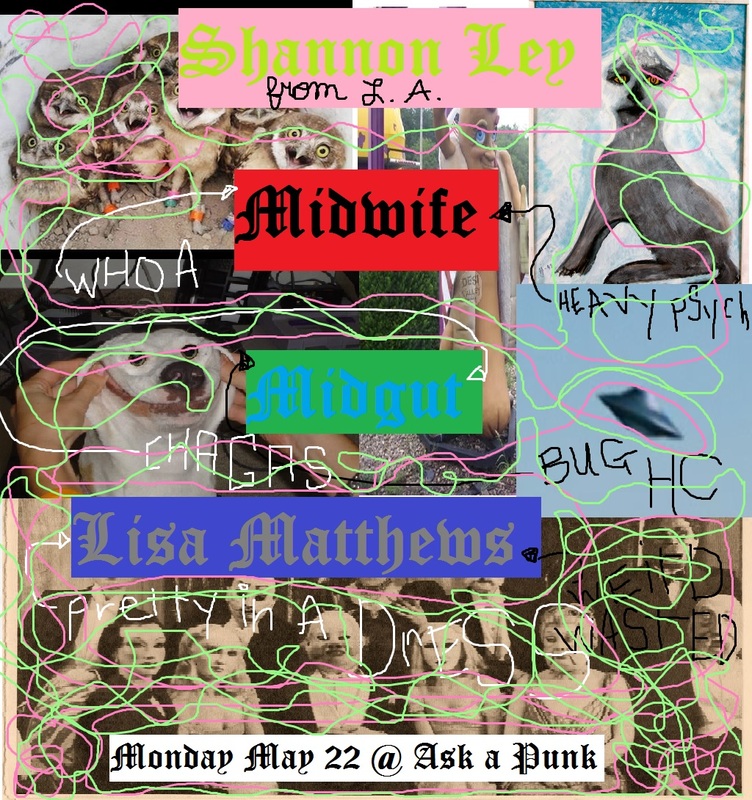 The other show is at the Mutiny Information Cafe on June 27 with the touring band, Gaytheist from Portland, Oregon. These will be her only shows this summer so don’t miss your opportunity!!! 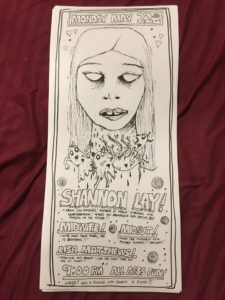 A bunch of people in the DIY community, under the organization of Ryan from _Entrancer donated songs to a compilation benefiting those musicians affected by the Ghostship fire in Oakland! 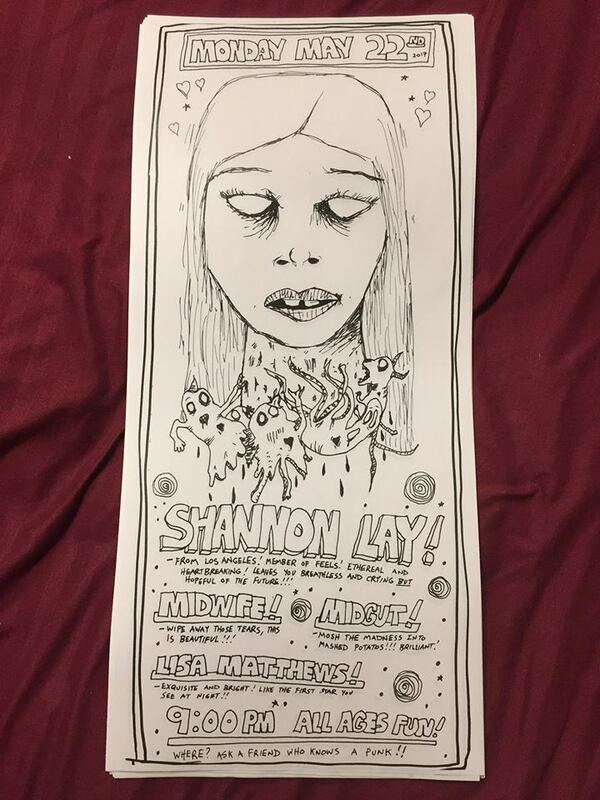 There’s an old, old live collaboration by Frozen Body, Zach Spener (AKA Vice Reversa) and me on it, hasn’t been available since 2006 or something and was only released in an edition of 15 handmade wooden boxes w/CD-R on StarShipStereo! Sorry about the bare address but I couldn’t get embedding to work. Put up one of my favorite demo’s I made a few years ago on some of my toy Casio keyboards (specifically, the SK-5, SK-1 and SA-5). There’s a few mistakes in the track, some volume issues (toy Casio keyboards have some volume issues when recording them off the headphone jack since it’s a “hot” signal) and it could be shorter but I’ve always thought it was an interesting track so I thought I’d share it. Recorded in 2015 on my Tascam 424 mkiii (a cassette tape 4-Track). I also put up a demo of a love song I wrote for my friends band, Hot White. I loved their band and the folks in it are just some of the best human beings I’ve had the pleasure to be friends with. The song was made on my four track and it’s missing vocals since I needed one more track to record them but didn’t have it. Maybe I’ll rework it in the future now that I have an 8-track. 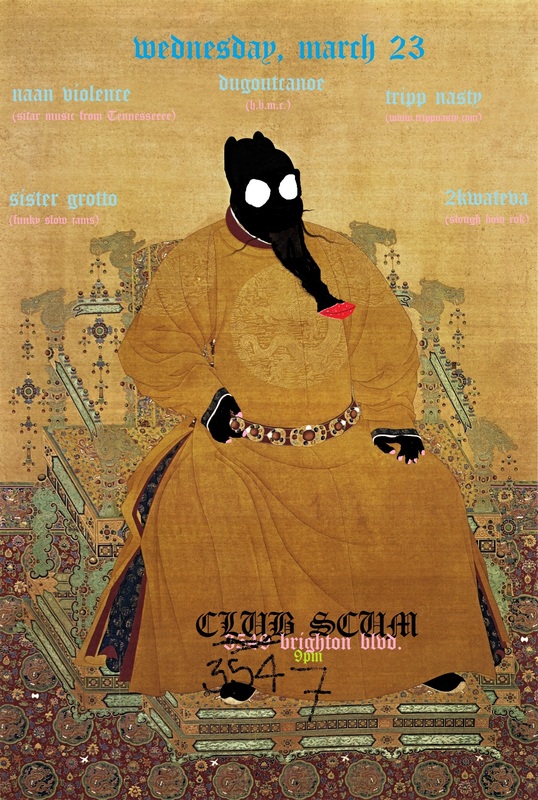 Recorded in 2010 at Glob when I was going back to college to become a hottie accountant. I’m going to take some time off from live performing for awhile (months, years, decades, centuries?…who knows!) but over the next thirty plus days there will be a plethora of opportunities to see me play. 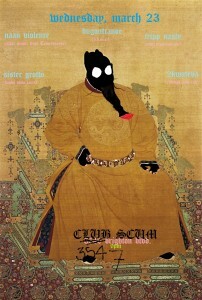 Here’s some fliers I made for a few of the last shows…..check out the Shows sections for the dates and locations…..